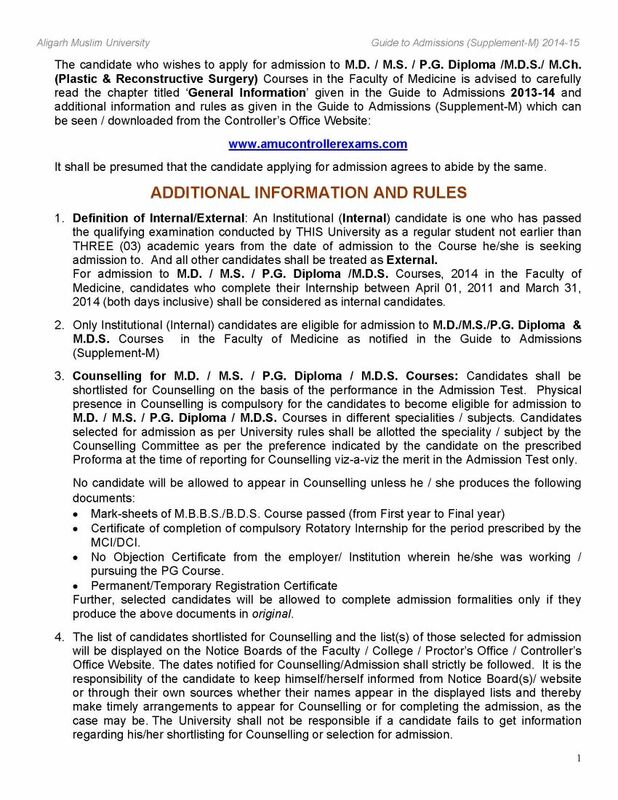 Will you provide me Information Brochure for admission in M.D. / M.S. 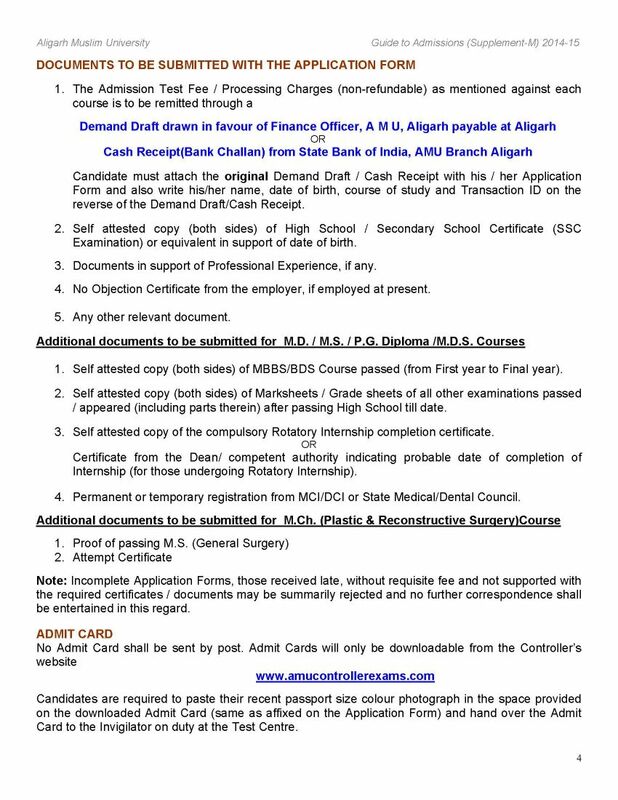 courses at Aligarh Muslim University ? 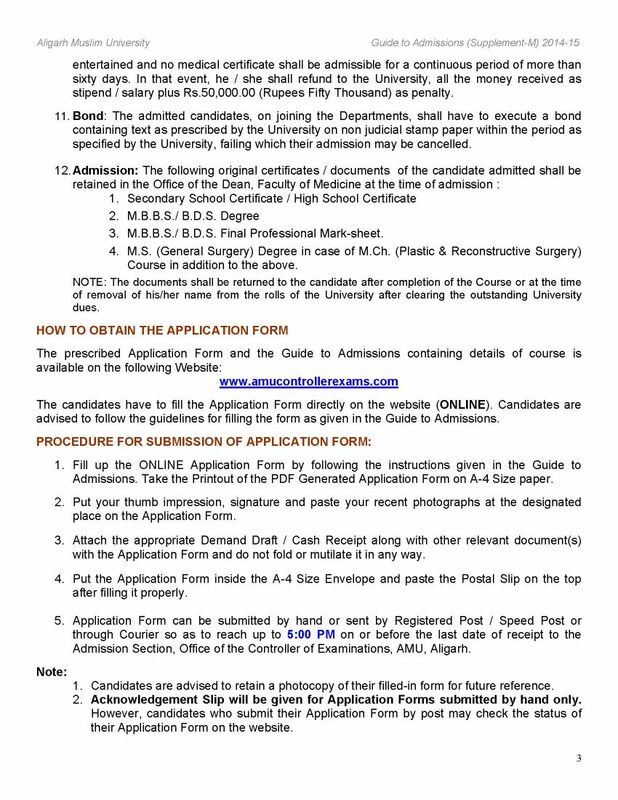 As you want I am here providing you me Information Brochure for admission in M.D. / M.S. 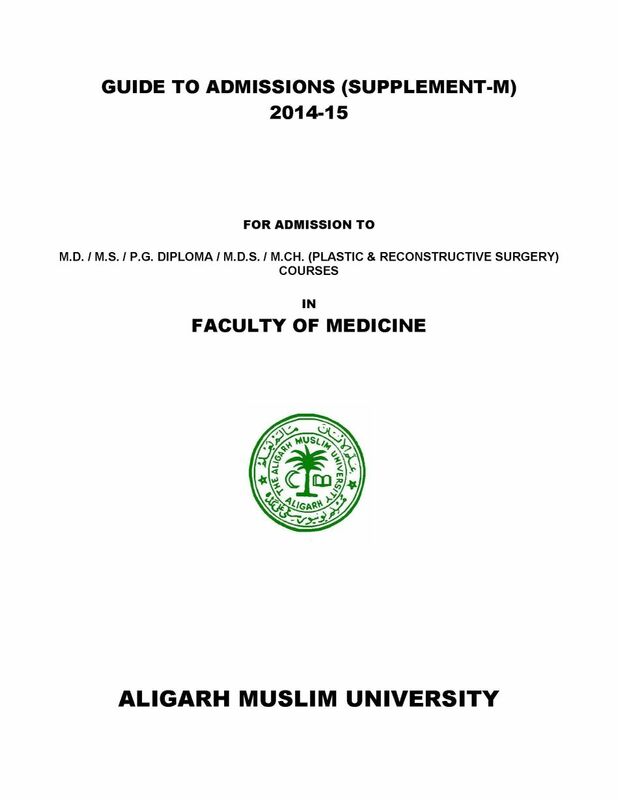 courses at at Aligarh Muslim University. 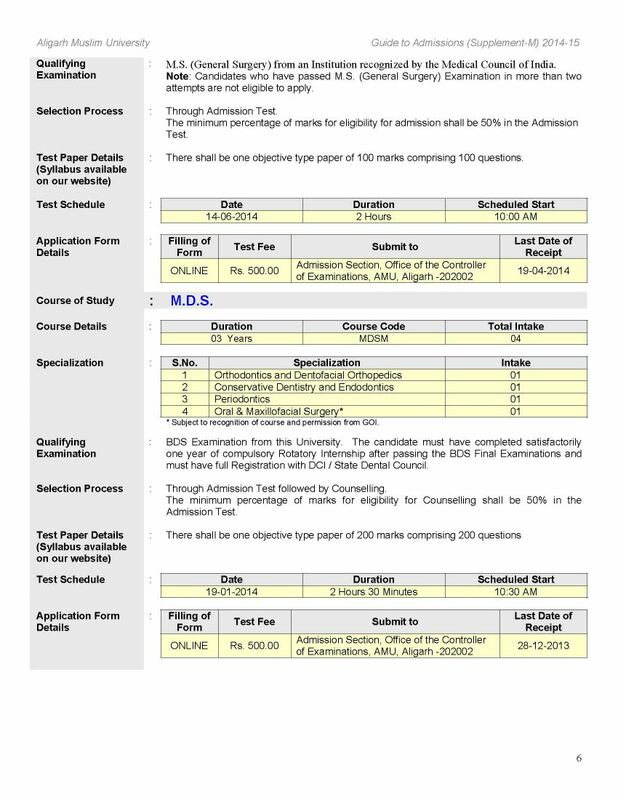 Admission in M.D. / M.S. courses is given on the basis of the performance in entrance exam . M.B.B.S./ B.D.S. Final Professional Mark-sheet. M.S. 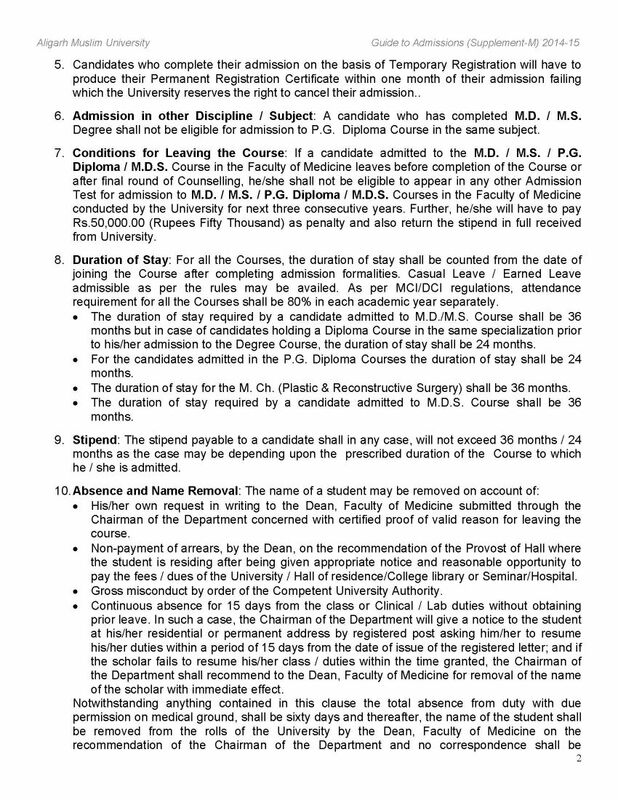 (General Surgery) Degree in case of M.Ch. 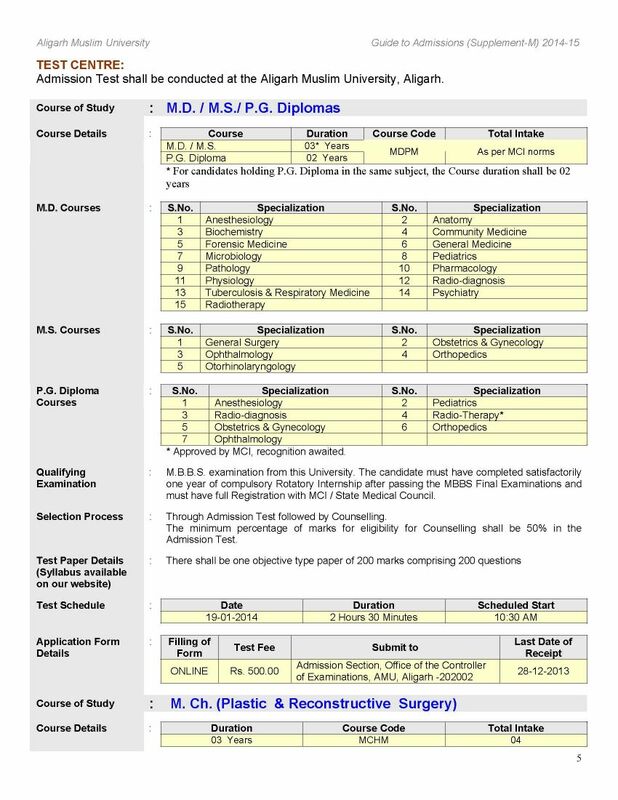 (Plastic & Reconstructive Surgery)Course in addition to the above. Documents in support of Professional Experience, if any. No Objection Certificate from the employer, if employed at present.